The 51st theater season presented by the Fondazione INDA ONLUS is currently underway. Experience Sicily’s Evelina Buttitta Rubino was in Siracusa earlier this week where at the city’s renowned ancient Greek amphitheater, she saw “Le Supplici,” or “The Suppliant Maidens” by Aeschylus. 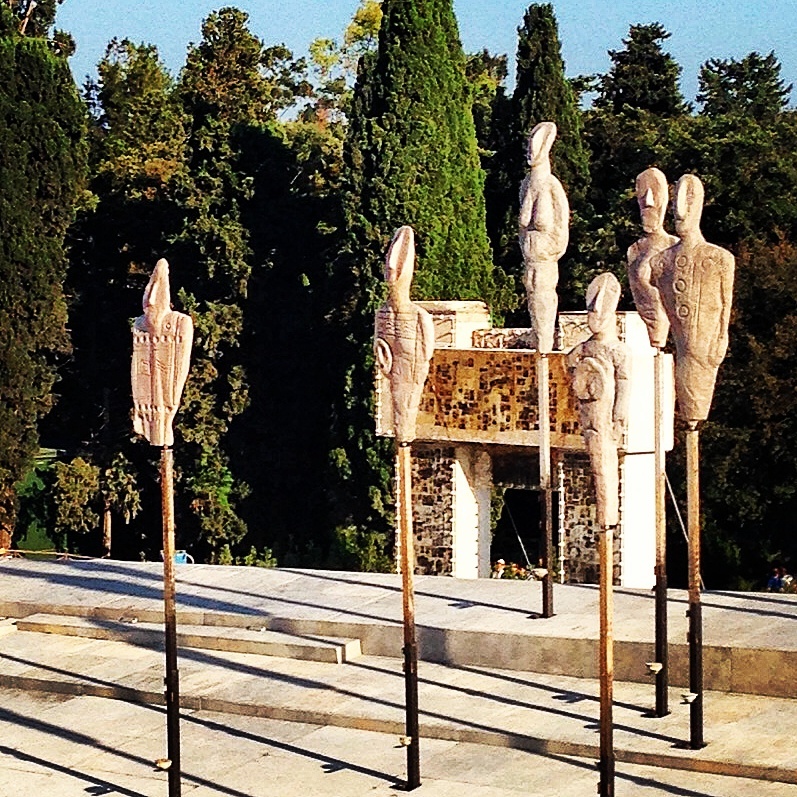 This image is of some of the scenery utilized in the performance that combines the dramatic text of the ancient Greek tragedy together with modern dance and traditional Sicilian folk music. The statue-scenery shown here recreates Early Bronze Age (3000-2000 B.C.) figurines that were created in the ancient Cycladic Islands in the Aegean Sea. Evelina said, “Non so come devi far, ma devi vedere questo spettacolo!”… “I don’t know how you’d do it, but you must see this play!” I’m going to try my best to go when I’m in Sicily at the end of June.